Cabin fever can inspire all kinds of creativity and maybe a little competition. The cardinals were so pretty at my bird feeder during one of our snowy winter days yet they would not let me take their photo. I complained that after putting out fancy bird feed (they refuse to eat the Walmart kind) they could at least let me take their photo through the window. Did not work. I went on up to my scraproom and a little later, Lenny showed up with the camera and several great photos including the closeup. I was still determined so I finally 'snuck' up on them by staying to the side and snapping a photo of a group of them just as the snow was tapering off. The page shows our two best photos. I cut thin black frames from black cardstock to make them look like professionally framed photos. 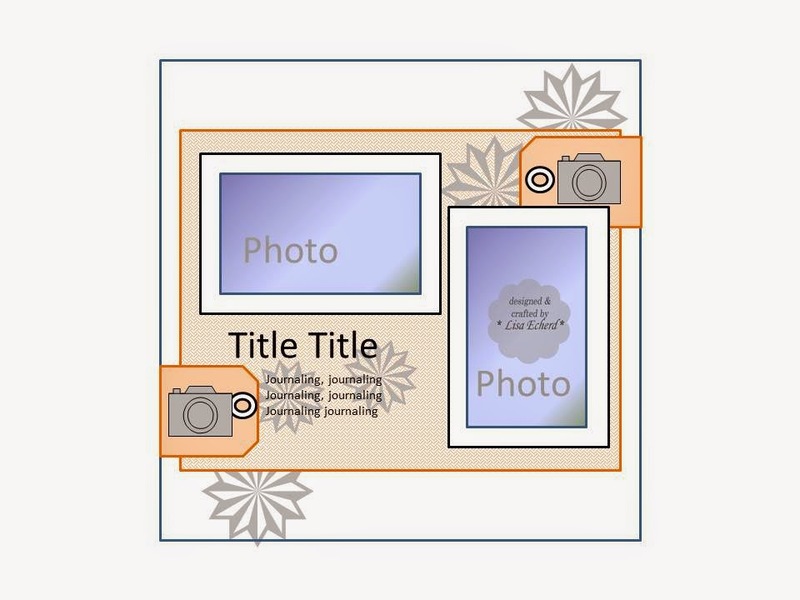 This page uses a lot of stamps for the background and the embellishments. The little birdcage which looks a bit like our feeder is from Hobby Lobby back in the crafting department. I got about 6 different ones for $2. I painted over with a bit of white craft paint so it would match the white and gray color scheme. This page was done back in March. I just hadn't gotten it posted yet. I am still on my 'using stuff I've been saving kick' however I am also working on my next project - an e-book - to be out in just a few days so I haven't filmed as many process videos. The e-book will have a video with it also. It is a project very near and dear to my heart so I look forward to telling you about it in just a few days. Thanks for stopping by today! There is still time to join me and many others for LOAD514 starting May 1. 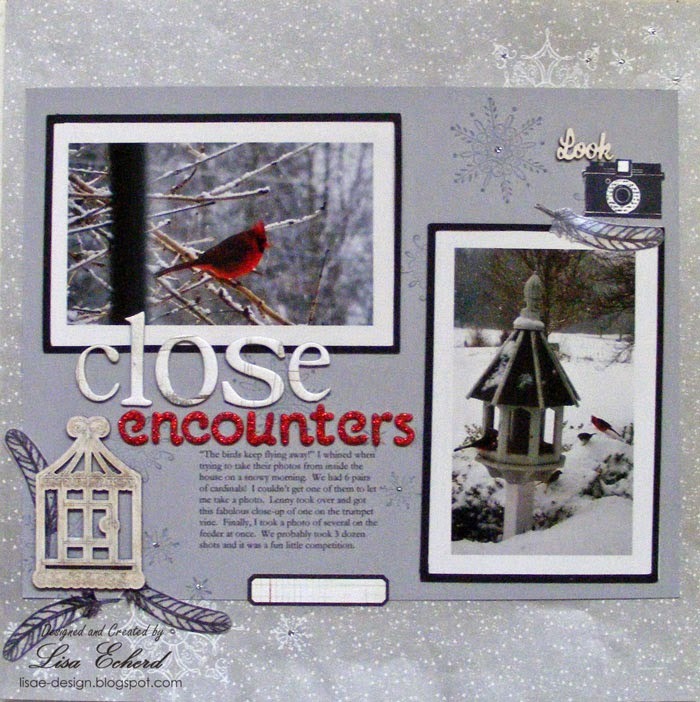 I love the soft subtle look to the layout and then the bright red of the cardinal and the word. Lisa, this is a gorgeous layout. We have a lot of cardinals in our area that we feed during the winter. They love oiled sunflower seeds, we went through 100 pounds this winter! This is so beautiful, Lisa! 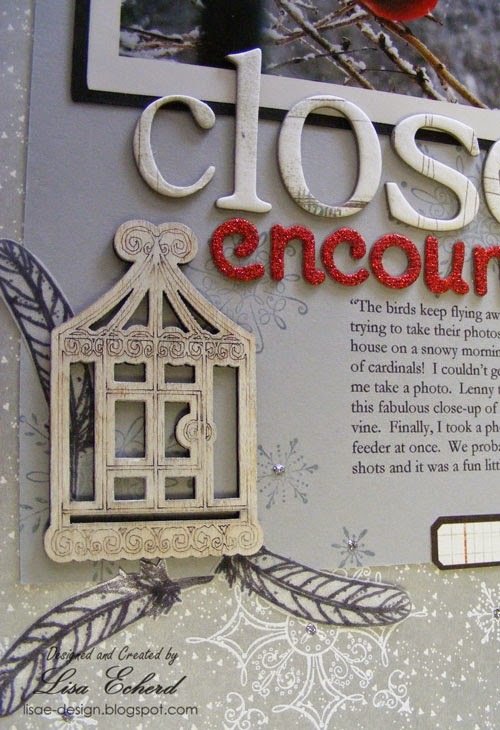 Love how you combined the birdhouse embellishment with the feathers! 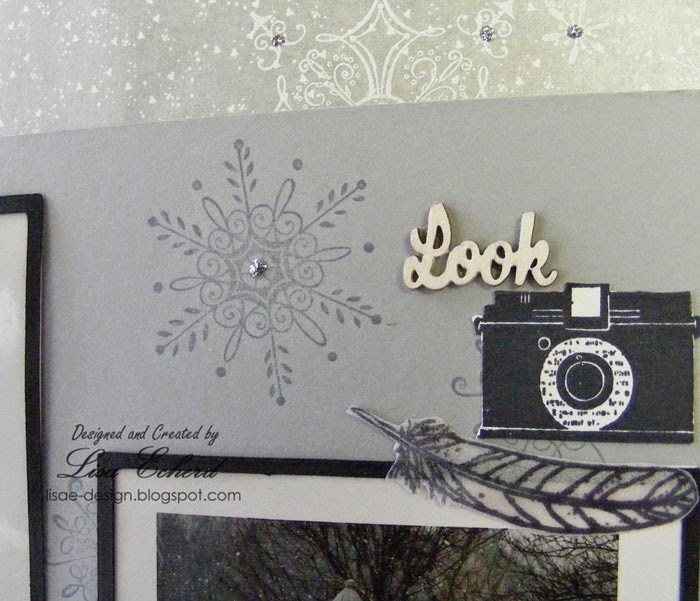 Such a pretty page, all of your embellishments are perfect, especially the pop of red in the title!